Technology is both the boon and the bane of education. We can communicate with each other over wider spaces, work more efficiently, and become more distracted all at the same time. I remember moving from typewriter to computer. in this week's Postcard from Claremont (#11), Bruce Epperly reflects on how his own engagement with technology has evolved over time. He does so in light of his need to conduct a class at Claremont via Skype due to his being unable to fly from the East Coast to West Coast due to Sandy. As you explore Bruce's meditation, I wonder -- how has technology affected your life? Many of us chart our academic and personal lives in terms of transformations in technology. In 1976 I was overjoyed when Claremont School of Theology’s Center for Process Studies purchased a Brother typewriter, with a special accessory for erasing typos, for my work on the Whitehead biography with Victor Lowe. It was my first electric typewriter and I typed the drafts of my dissertation on that trusty machine before finally sending them off to a professional typist for the final draft. Yes, in those dark ages, books and dissertations were produced on typewriters! In 1986, Kate and I purchased our first computer and then, a few years later, ventured forth on the worldwide web. Twelve years later, I purchased my first cell phone for my sixty mile commutes to Western Maryland where I served as interim pastor for a United Church of Christ congregation. How novel each of these technological adventures was at the time! Each opened up a whole new world of possibilities for communication, writing, and study. 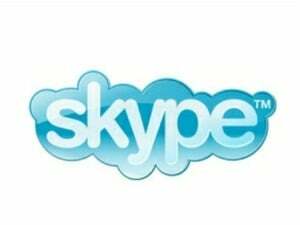 Yesterday, I conducted my first class ever by Skype. I was caught in Hurricane Sandy, and couldn’t fly out till Thursday. So, I met with one of my classes – Process, Ministry, and Spirituality – from a distance of three thousand miles. Of course, such virtual meetings are no longer novelties, but it was an adventure in technology and non-local communication, at least for this technologically-ambivalent process theologian. And, it was fun, despite some difficulties from my end in hearing the conversation. What joy to talk about process theology and classical images of God and relationships, and ministry and spirituality! Three of my students made short presentations in the three hour class and how varied they were. In honor of Halloween, one spoke of the pagan and Christian origins of All Saints, another described the roots and current practices of Korean spirituality, and the third discussed anointing and then led a service on anointing and blessing. How good it was to fetch a bottle of olive oil and anoint myself as one of the students blessed me from our California classroom! I was truly blessed. I was blessed for the extra days with my family, including my two little grandsons in DC, and to be able to part of an adventurous and stimulating seminary community. In this seminar alone, students have presented work on global spiritualities, Christian meditation practices, pagan holidays and their Christian meanings, Jungian psychology, and compassionate spirituality. We are learning together, with students from the East Coast USA, Southern California, Korea, and the Philippians, about the resources of process theology for today’s pluralistic age and for healthy and effective pastoral, academic, and congregational ministries. On this particular Wednesday, we were truly living the organic and relational nature of process theology and spirituality. We were connected, shaping one another and sharing inspiration and insight despite our transcontinental distances. Process spirituality invites us to see God everywhere and in all things and to share in God’s restless quest for Shalom. This means using the technology we have in creative and life-supporting ways. Although I did not conduct my other classes – Whitehead and World Religions and Theology of Congregational Transformation – by Skype due to travel plans, these classes are equally innovative and made up of students who are pushing the boundaries of theological reflection in our quest to heal the world. There are few places where you can encounter students interested in Jewish mysticism, emerging Christianity, apophatic theology, Jungian spirituality, Buddhist pastoral care, ecofeminism, spiritual humanism, and process metaphysics meeting together in one classroom. But, that’s the intellectual liveliness of Claremont School of Theology and Claremont Lincoln University. As I come into my seminars, my mind drifts back to an earlier seminar with Bernard Loomer in Spring 1979, where a number of young theologians – Rita Nakashima Brock, Rebecca Parker, Catherine Keller, and myself, brought our own various perspectives into an exciting and creative synthesis, which has flourished in our work and relationships over the past three decades. As I look at my students this semester at Claremont, I know that they will provide creative leadership in theological reflection and education, social transformation, and pastoral ministry. Like that earlier seminar with Bernard Loomer and classes with David Griffin and John Cobb, seeds will be planted that burst forth in exciting and life-transforming ideas that will shape other minds and hearts in our quest to heal this Good Earth. Technology helps us making things easier. Good for him to conduct a class via skype.